If there was a post to make you feel more empowered to create and tackle your goals for 2016, I hope it will be this one. Allow me to explain. When searching for a word to describe how I’d like my year to represent, the word that came to mind happens to be a compound word: SELF–CREATED. My word of the year last year was “INSPIRED” and it certainly was representative of the year I had in 2015. While there were dips and peaks in my level of inspiration, as a whole, I felt inspired to do different things last year. Most of these new things were even shared on this blog. Joy Cho, creator of the popular Oh Joy brand is one of my favorite bloggers that I follow. Besides loving her style (modern, colorful, and streamlined), I love how she often provides insights on her journey as a graphic designer and business owner. Last summer, I happened to catch a video that Joy shared with her followers. It was a short clip, as part of a video series where she answered some of the “most asked” questions from her readers. The Topic: What was the secret behind her success? My biggest takeaway from Joy’s answer was how much of what she had accomplished (ex. scoring campaigns with big brands like Target) came from her “GOING AFTER” these opportunities. She applied for them. Things were not handed to her. The honesty of her humble answer is inspiring. Of course, people do get ahead because of the above-listed reasons but to feel defeated because one doesn’t have a “leg up” to their competition is a very poor reason not to try hard. We must also dismiss the notion that success just happens. Sure, people who are successful can attribute “LUCK” being a part of how they navigated toward their path to success. However, I’m pretty sure the majority of successful people will say that they sought out opportunities. They were not the ones who waited for opportunities to appear on their front lawn. 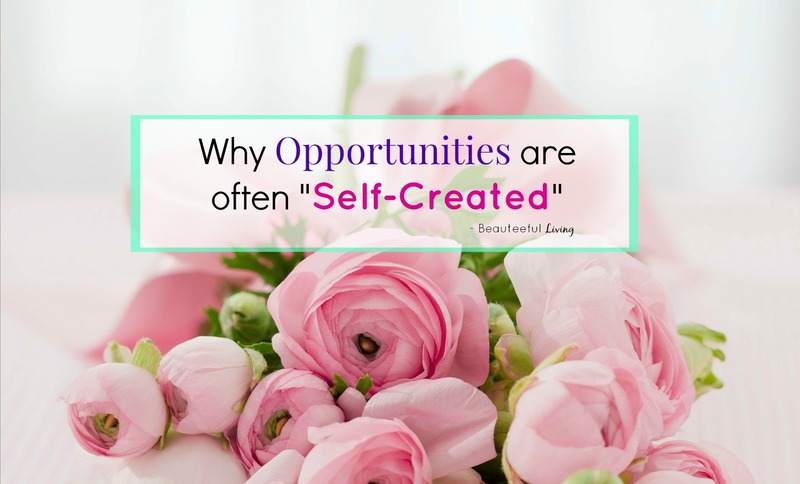 The sooner, we realize that we “self-create” our own opportunities, the sooner we will achieve our goals and what we envision for ourselves and our lives. Isn’t it empowering to know that “you” are the driver behind what you can achieve? 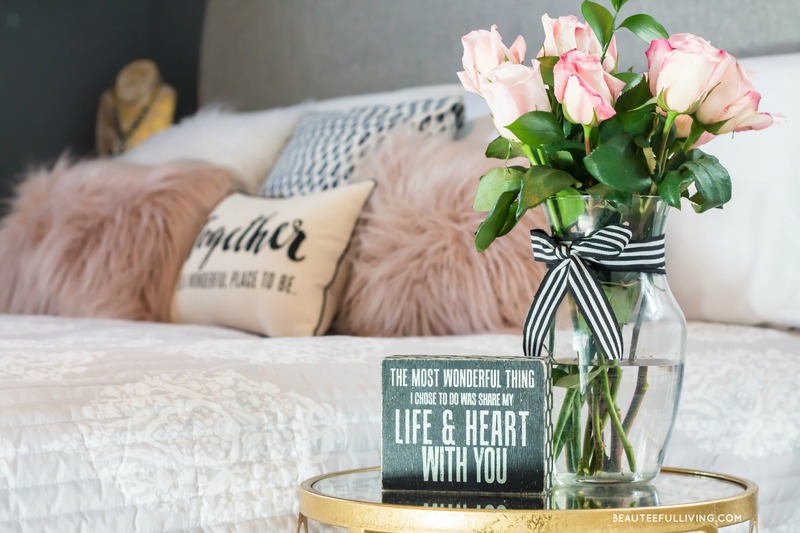 I’d like to thank many of you for joining me as I share my creative process and build upon Beauteeful Living‘s mission of creating the home you love, making lasting memories, and doing the things you love while enjoying the simple joys in life. There are some fun things, some pretty big ideas, and lots of inspiring bloggers and small business owners that I look forward to sharing on the blog this year. I hope you will find some inspiration in the things shared! If you have a specific goal you are looking to achieve this year, I’d love to hear it. Please share in comments or send me an email at “tee@beauteefulliving.com.” Catch you back here next week. Enjoy your weekend! Xoxo, Tee. This is so true… so true! Sometimes I find it difficult to put myself out there and then have to sit and watch the opportunities go to my friends who do, thanks for the pep-talk! This is such an amazing post and an important lesson to learn. I find myself making some of those excuses about why others come across opportunities, so these tips are very helpful. I think that believing in yourself and your ability to self-create opportunities is key. Thanks! I am all for self-creating opportunity. I hope it comes with good hair, too! 😉 I had no idea when I started my blog (and then a second business) that it would become such a “thing,” but it did! Here’s to the future. Great post! At my job, my most dreaded task every year is the self-evaluation. There is always potential for a raise to be attached to it so it’s an opportunity to make yourself shine in an environment where our accomplishments can be overlooked (my colleagues and I are pretty autonomous). I am terrible at self promotion and I know it has held me back somewhat. I do think that many opportunities come from ourselves. I struggle with promoting myself and asking for things. I am focusing on this in 2016. I am a hard worker but too often I do wait for the opportunity to come to me. Great post! I love the idea of picking a word for the year. I will look forward to seeing what you create for yourself in 2016! Inspiring article and very true. Great post! Very inspiring to remember that success coming from your own hard work! I love this!!! I was laid off from my corporate job and was able to create my own company with my husband! If I had not take the first steps our lives would not be were they are now with our our self starting. This is a great post! If we wait on all things to come to us or to be dropped into our laps, we miss out on so many wonderful things and so many wonderful friendships! Create opportunities and grab them with both hands!! Have a great weekend! Hugs! “Self create” Love that. Put yourself out there! Rejection may sting but the worst they can say is no. I so agree with you on this one! I found myself nodding to everything here. There’s a video going around on FB of Steve Harvey talking about JUMPING. It’s quite similar to self created, that you have to make your own opportunities. They won’t just come to you. Such a true, enlightening post. I believe the fear of rejection stops a lot of folks from going after “it.” As a teacher, students who were afraid to take risks were the ones who felt left out, rejected. It wasn’t until they took a risk and failed, that they realized that they survived it, and learned something in the process! The risk paid off, maybe not the way that was originally envisioned, but in other, significant ways. So true, so many times to have an opportunity, we have to create it ourselves. How true this is! There is a quote I like that says “Successful people are failures that tried one more time”. Have a great weekend! Great word for the year. Love picking one little word! Thanks for sharing.